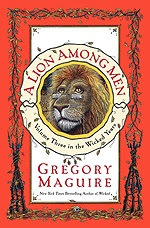 One Story author Gregory Maguire has added another chapter to his “Wicked” series: A Lion Among Men. This novel follows the story of the Cowardly Lion. Find out how he started as a scared little cub and ended up following Dorothy down the yellow brick road. Go here to find out where Gregory will be on tour. Go here to listen to an audio excerpt. Go here to take the Wicked Personality Test on facebook!